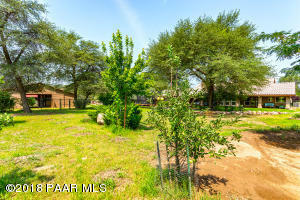 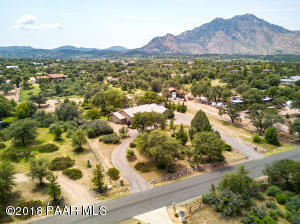 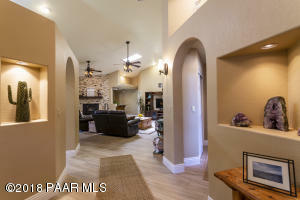 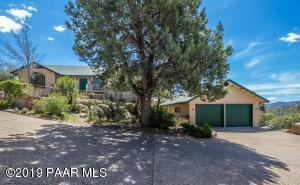 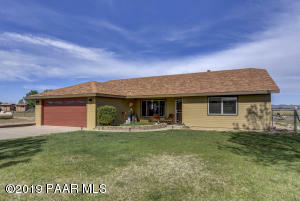 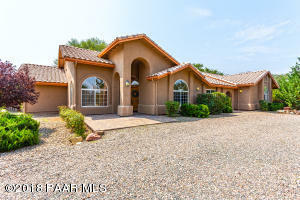 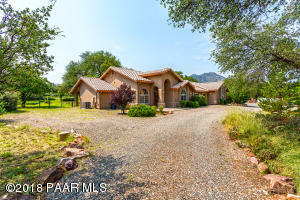 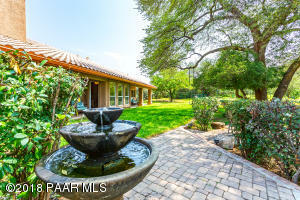 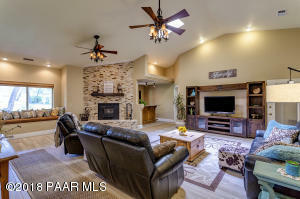 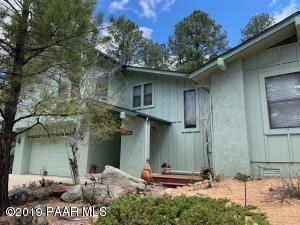 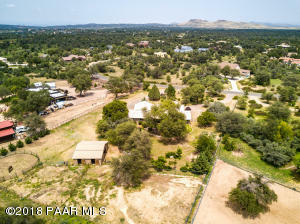 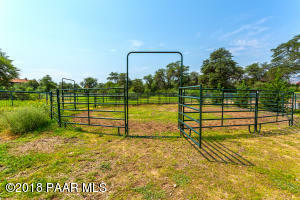 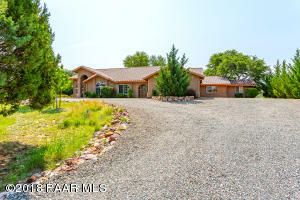 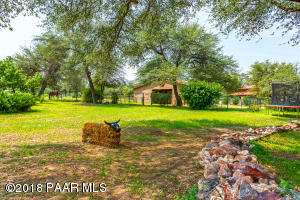 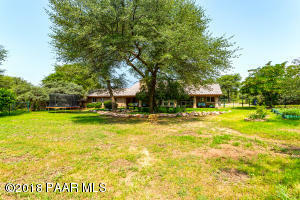 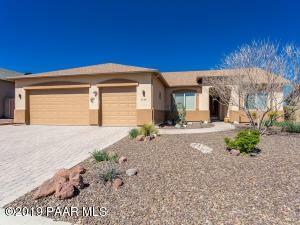 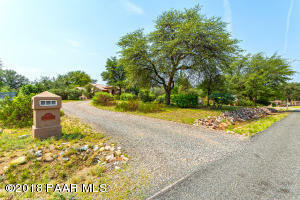 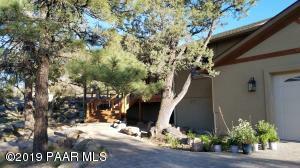 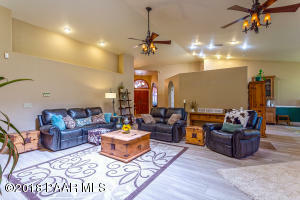 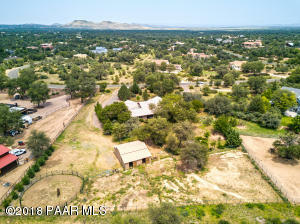 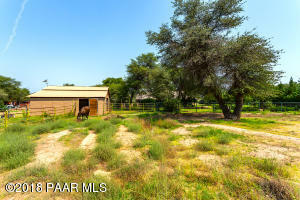 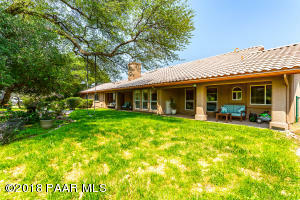 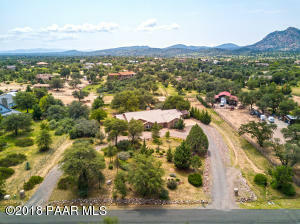 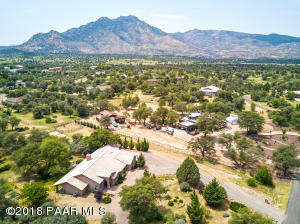 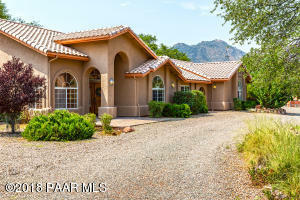 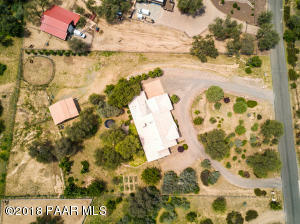 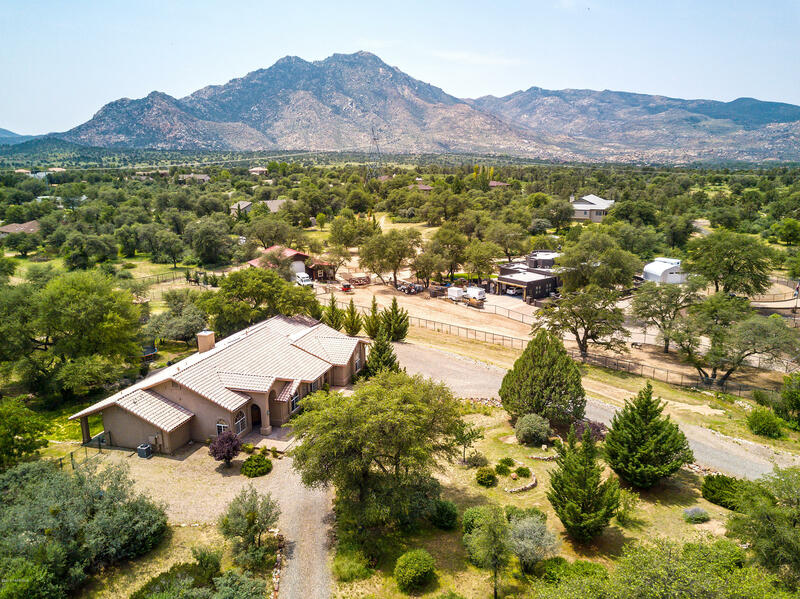 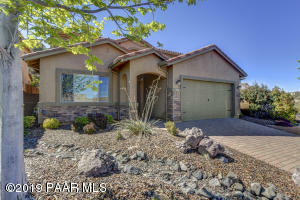 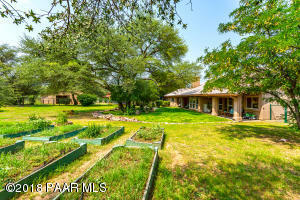 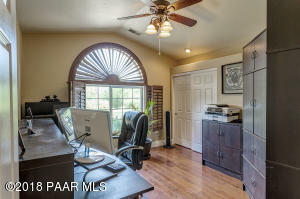 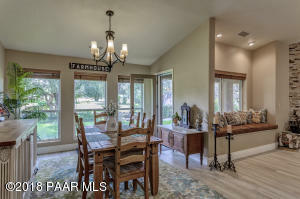 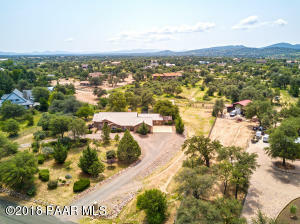 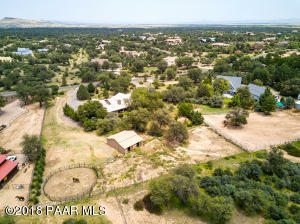 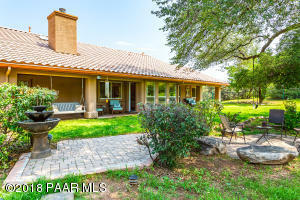 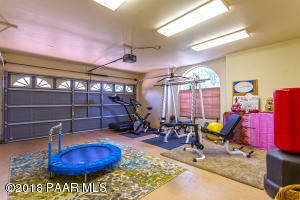 Horse property in desirable Granite Oaks. 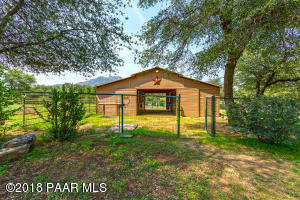 This home has it ALL on just over 2 acres! 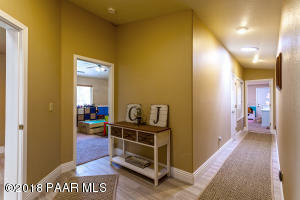 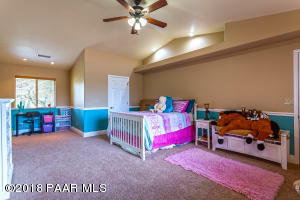 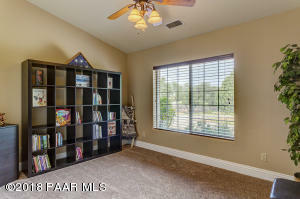 Brand new wood plank tile flooring, vaulted ceilings, and neutral paint. 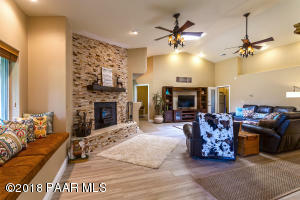 The great room features a floor to ceiling stacked stone fireplace, a granite topped bar area. 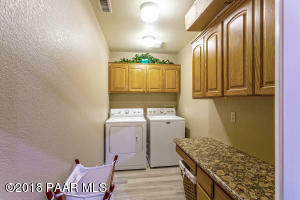 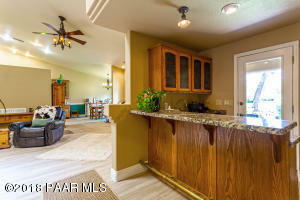 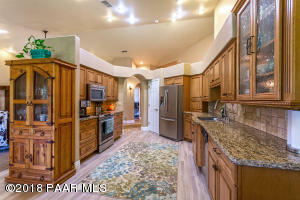 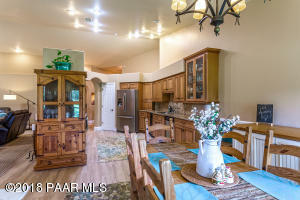 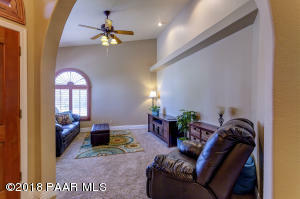 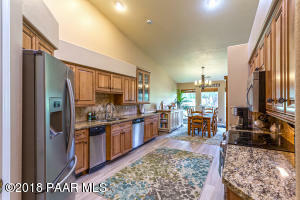 The kitchen has soft close cabinets, stainless steel appliances, granite counters and dining area. 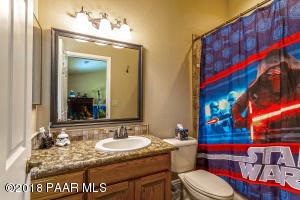 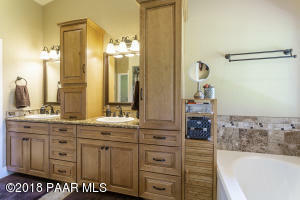 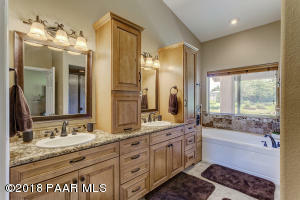 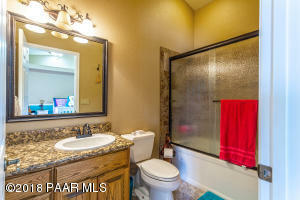 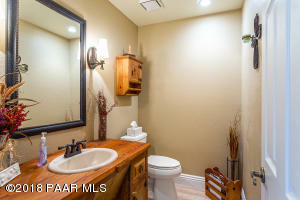 Master boasts custom storage vanities in the bath, a soaking tub, and walk-in shower. 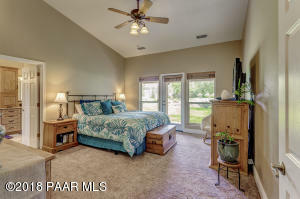 The west wing hosts two en-suite bedrooms, one that would make a fantastic in-law suite, with outside entrance. 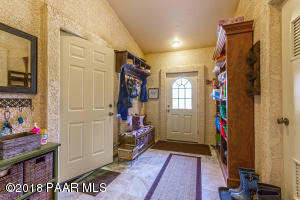 Conveniently located off the 3 car garage is the mudroom drop zone. 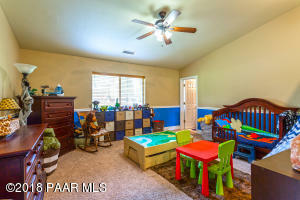 Need room for additional toys? 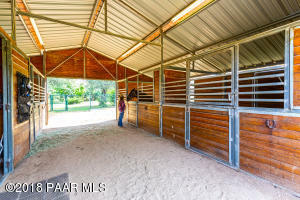 Check out the fourth bay workshop. 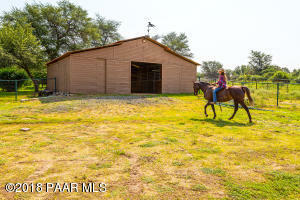 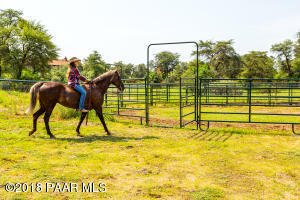 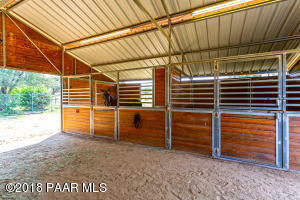 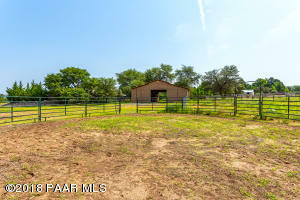 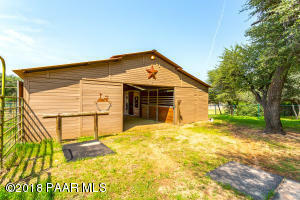 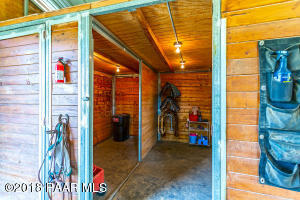 3 stall barn has tack room, feed room, no-climb fence, turnouts and is close to trails for riding. 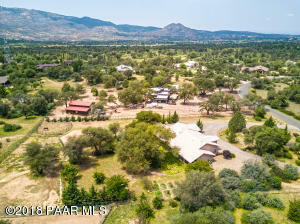 Take Williamson Valley Rd. 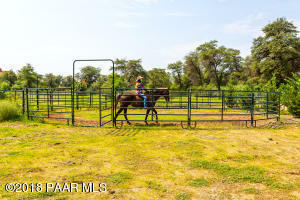 Turn Right on Bard Ranch Rd. 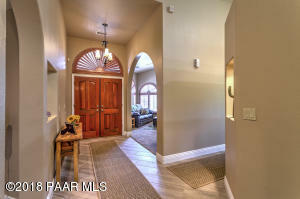 Turn left on N. Granite Oaks Dr. Left of Oak Forest Dr. Home is on left side.